The new Blade smartphone features bokeh and 3D shooting abilities thanks to a dual-camera setup. The handset is powered by a Qualcomm Snapdragon 435 SoC, runs Android Nougat, and is expected to hit the market beginning with Russia and Japan next month. ZTE Hawkeye and the ZTE Blade V8 Pro have not been unveiled alone at CES, being accompanied by the mid-range ZTE Blade V8. This is a smartphone that targets mobile photography enthusiasts on a budget and will not launch in the US anytime soon. ZTE Blade V8 will probably never reach the North American market since this is the area where the more powerful Blade V8 Pro is scheduled to go on sale. In addition to the above, this mid-ranger also features a fingerprint reader. Interesting enough, especially for an affordable device, ZTE claims that Blade V8 can shoot "high-quality 3D photos" in addition to the bokeh effects provided by the dual-camera setup. The prices are not public yet, but since the more powerful Blade V8 Pro hits the US for $229.98 USD, the non-Pro versions should come for less than $200 USD for the 3 GB/32 GB variant. Russia and Japan will get it next month, with Germany, Spain, and China to follow by March. Las Vegas, Nevada —January 5, 2017– ZTE, a leading global mobile device maker, today launched the latest iteration in its popular Blade series, the Blade V8, at CES 2017 in Las Vegas. With the mission to find the beauty in the world through today’s young people, the Blade V8 is equipped with stunning Bokeh photos and 3D shooting abilities. The device is on display at ZTE’s CES booth in 30300, along with the newly launched Blade V8 Pro and the company’s other pioneering smartphone, the AXON 7 Max. The Blade V8 is the best choice for taking Bokeh photos and enjoying the excitement of 3D-shooting. Its dual camera acts as eyes through which young people can discover the true colour and beauty of the world around them. The device sports a 5.2-inch screen and 2.5 D curved edge glass offering a stunning handful of fun. 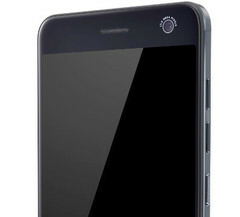 The Blade V8 also packs in strong core components and features: Qualcomm Snapdragon octa-core chipsets, 4G LTE plus, a 13 MP + 2MP dual rear camera and 13 MP front camera for high quality selfie with flash, a front integrated fingerprint scanner, FHD screen resolution, Android N, VR goggles backing box and more. THE EYES THAT CAPTURE THE WORLD’S BEAUTY: With the ability to detect depth and distance, the Blade V8 can take photos similar to those taken by SLR cameras in macro mode. The dual rear camera is also able to take photos from different angles and combine them together to create high-quality 3D photos. In addition, the refocus mode allows users to select the focus area after shooting to see images from different perspectives. Together with the manual mode and multi-camera mode, the Blade V8 becomes eyes for people who crave to discover the world’s beauty. A BEAUTY ITSELF: The new Blade V8 is a beauty in and of itself. Thanks to diamond cutting technology, the device’s metallic body stays super slim while equipped with 2.5D curved-edge glass and a front integrated fingerprint scanner. Moreover, the Blade V8 offers 4 stylish colors to choose from: Rose Gold, Silver, Dark Grey and Champagne Gold. BEAUTIFUL EXPERIENCE: The Blade V8 sports Qualcomm Snapdragon octa-core chipsets 435, Android N OS, and the new Mifavor 4.2 UI bringing the Blade V8 user experience to a whole new level. As the trusted partner for the modern, lively and young, ZTE’s mission with the Blade V8 is to help people connect to a more beautiful world.